At Upstage by Lili, we specialize in interior decorating and home staging. We are passionate about what we do and take pride in every project we take over. Our elegant style and attention to detail combined with our knowledge of real estate trends, allows us to create the most value to any space. We create timeless interiors that attract the most discerning buyers. Our goal is to listen carefully to all your needs and offer high quality services at a competitive price. No matter the size of the project... big or small we are happy to help! Tara Lavoie has developed a reputation for not only creating homes that are simply beautiful, but also a reputation as a designer that truly understands the needs of her clients. 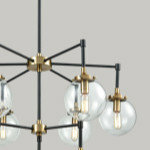 Sarah-Marie Interior Designs is a design company with full scale capabilities. With work being done all over the lower mainland, she is known for her timeless approach & detail orientated manner. I am always being asked for ‘photos of my work’ and what ‘my style’ is as I don’t post many photographs on either my Web page or on Houzz. Please let me explain why that is... Early on in my career I noticed that I really didn’t have a specific ‘style’ at all. Having been a Sign Language Interpreter for the Deaf for years before I began this journey as an Interior Designer I realized I did indeed have a gift to read my clients and their body language which spoke volumes to me as I listened to what it is they were looking for. Often their words would pale in the vivid story their body language told me. It was always about my clients for me - each being very different and unique. Something else I learned very early on in my journey was the art of creating space that is unique to each one of my clients was my calling. We worked tirelessly with their loves, hopes and dreams. We looked at their family and the needs of each individual as well as a home full of family treasures that made their hearts sing. This home we created together is ‘their home’ - their castle and unique to their point of view. My job is to bring it all together in the end for them. It is not my business to flaunt but theirs. Building a new home or renovating an old one is quite the journey and always based on trust and respect ... It is my job to direct the choir is all. WE write the song - together. WE make it amazing - together. WE, with my amazing team, who support these projects with their professionalism, great skills and knowledge, make it the best journey ever. And I love this dance. love love love this dance. It is full of ups and downs but that is what propels us to great end results every time. There are many amazing designers in this world and I always feel so blessed when I am asked to walk this walk with my clients and humbled by the trust they place in me. We have served the Tri-City area since 1987, helping our clients to realize their dream home environment. Whether you are building, renovating or decorating, Beverley A. Richards Interior Designs is your one stop source. Cost Details are specific to each project and its scope. Our first step is always to develop a Scope of Work List. From there, we can break that down even further to give you a more specific understanding of the costs involved to do your project. 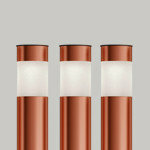 We charge an hourly rate and we are able to provide some materials at a discount. We work to create quality designs that add value to life and work, and this is our inspiration, our motivation and our commitment to our clients. Communication inspires evolution in design. We are a full-service Interior Design firm focused on luxury private residences in Vancouver & the Lower Mainland. We guide you at every step of the design process, ensuring that mistakes aren't made. Cara Interiors is a welcoming boutique interior decorating & design firm specializing in creating inspired, client-focused living spaces designed to promote positive energy and a sense of wellbeing. 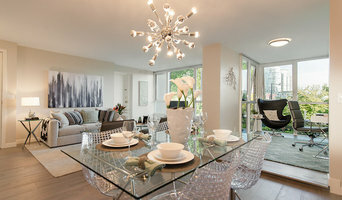 Karly Kristina Design is a Vancouver based Interior Design Studio, providing comprehensive Interior Design Services. 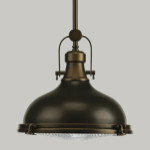 Our Philosophy: At Karly Kristina Design we provide unparalleled customer service. We listen to our clients needs, respect their budget and strive to deliver functional and beautiful spaces. Our design style is a fusion of classic and contemporary design elements to create a timeless yet current space that is simply inspired by our clients and the beauty that surrounds us. After Design is a dynamic team of interior designers committed to creating exceptional interior spaces. As a third-generation Vancouver Interior Designer I believe in quality, hand made furnishings and millwork, natural fabrics and flooring, and creating timeless rooms. We are involved in every aspect of the construction industry. From the design and construction of your custom dream home, to the management of your upcoming project, Infinity Living can do it all! We focus on the originality of each space and the character of our client. With that in mind, no two spaces are alike! Whether you are looking to build your dream home, or renovate an existing space, our design services can be tailored to suit your unique needs. At Tri-City Paint & Design, we are a family business that provides complete decorating services. We consult on colors, painting, wallpapering, window coverings, custom bedding and drapery solutions. We have 20+ years of design experience in residential, commercial, hospitality, and retail. We strive to make spaces look and feel amazing, and it is our goal to exceed our clients’ expectations. 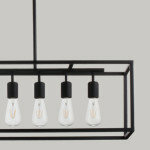 Offering decorating and design services in Metro Vancouver. Our motto is "Real designs for real life". Independent Interior Design Firm operating in Vancouver's lower mainland, Fraser Valley and Sea to Sky areas. Specializing in residential space planning, finishes selections and millwork design. The work of a professional can make all the difference. Whether your home has 10 bedrooms, or your apartment is 800 square feet, it can be tricky to create a cohesive look that is representative of your style. That's where a local Coquitlam interior designer comes in. A home decorator will help distill your tastes and ideas into a design that suits the needs of your space. 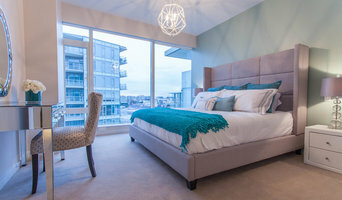 Whether you need help creating a functional space plan, rearranging existing pieces, designing the inside of a new home, or simply sourcing amazing furniture and decor, seeking the help of professional interior designers and decorators in Coquitlam, BC is a must. A good home design professional will hone your style down to its very essence and be able to choose a functional layout that feels natural to you. Interior design companies can be involved as much or as little as the client desires. Many clients who hire an interior decorator in Coquitlam, BC — particularly those who are remodeling — have a good sense of how the room should look and what products they should use. Often clients will insist that interior decorators use the products already present in the house. Other times a designer will need to start from scratch — especially if this is a newly purchased or just-built home. An interior design company will need to figure out exactly what the client needs, which includes organizing rooms, picking flooring and wall colors, and finding furniture to complement it all. Sometimes that means he or she will have to recruit help from other Coquitlam, BC home professionals to help create the perfect look for your renovation. Here are some related professionals and vendors to complement the work of interior designers & decorators: Architects & Building Designers, General Contractors, Home Builders, Design-Build Firms, Photographers. Do your research before meeting with an interior designer or home decorator in Coquitlam, BC. Ask yourself what you want your space to become and what it will be used for. Figure out the extent of what you need help with, what your must-haves are and what your budget is. Interior design services can add up fast, so be up front with a potential design firm or individual from the beginning. Also, pick an interior decorator that fits your style. 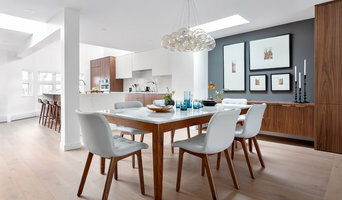 Browse through the portfolios of different Coquitlam interior design firms and decide if you would live in those houses. Just because you like something doesn’t mean you could live in it. There's a big difference! Find an interior designer or home decorator in Coquitlam, BC on Houzz. 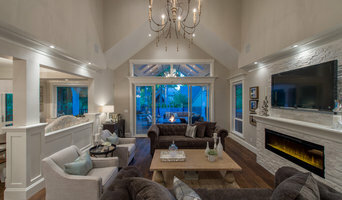 Narrow your search in the Professionals section to find Coquitlam interior designers near you. 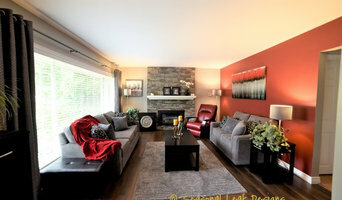 You can also look through Coquitlam, BC photos to find a room you like, then contact the design firm who designed it.